A person applying for a security clearance can be rejected for a multitude of reasons. There is no hard and fast list of reasons for rejection. Each person is evaluated on an individual basis, and what one person is rejected for, another may not be. Even when there is a possible reason for rejection, that reason is weighed against the person's honesty, age, frequency of conduct and motivation. One crime committed 20 years ago weighs less heavily than five crimes committed ten years ago. Being accused of or admitting to committing a crime may disqualify a person from attaining a security clearance, regardless of formal charges. 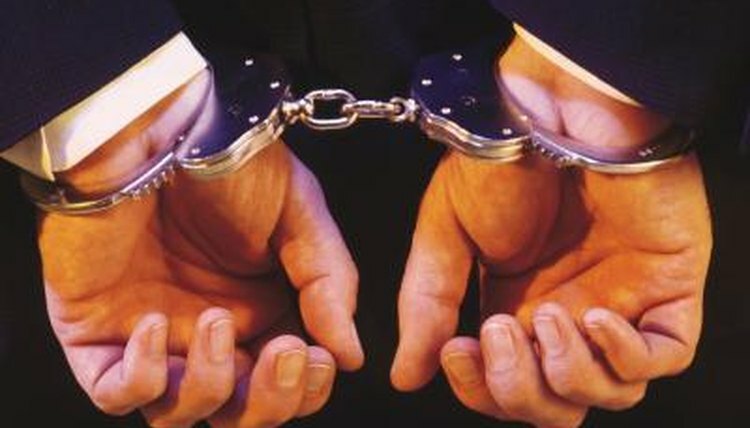 Both multiple lesser offenses and one serious crime can be considered a reason for disqualification. Mitigating factors can include whether or not the crime was recent, isolated or involuntary. How Long Does a Disorderly Conduct Charge Stay on File? Illegal involvement with drugs including possession, cultivation, processing, manufacture, purchase, sale or distribution can be considered disqualifying. A history of alcohol or drug abuse can be detrimental to a person applying for a security clearance. Signs of rehabilitation can lessen the detrimental effects. Criminal, compulsive or addictive sexual behavior may be grounds to reject an application for security clearance. Exceptions might be made if the behavior occurred before adolescence or if there are no recent indications of the behavior. Omitting facts, lying, general dishonesty and refusing to cooperate in the process for obtaining a security clearance will be used as grounds for disqualification. Whether you have done something else that may disqualify you or not, being honest about it will always be better, and may even provide mitigating circumstance. Lying about it will only make it that much more likely you will be disqualified. Based in Mississippi, Hannelore Davis has a bachelor's degree in interactive design and game development. Davis also has two years of experience in supporting technical issues with Internet and digital phone for a large telecommunications company. Davis, Hannelore. "Top Security Clearance Disqualifiers." , https://legalbeagle.com/6112114-top-security-clearance-disqualifiers.html. Accessed 21 April 2019.